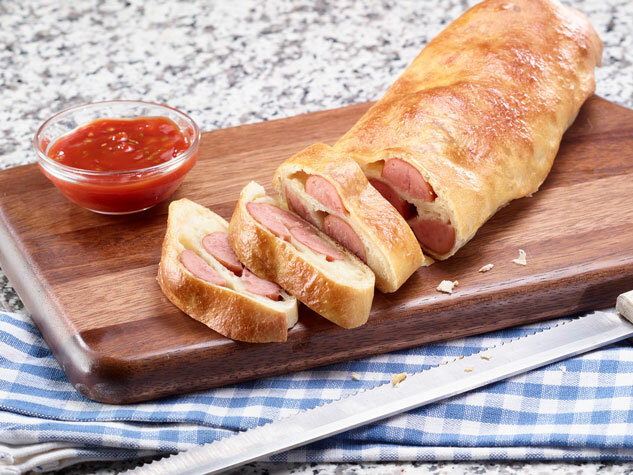 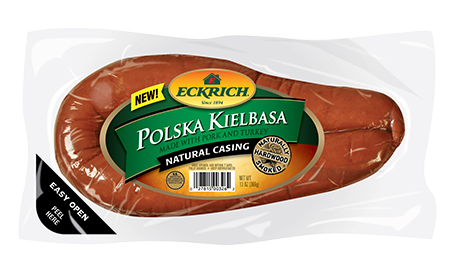 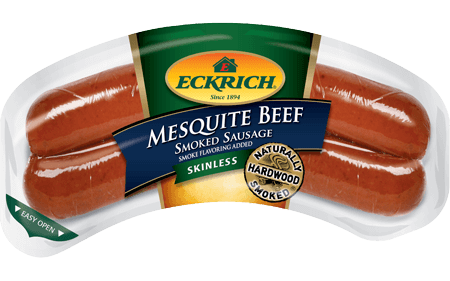 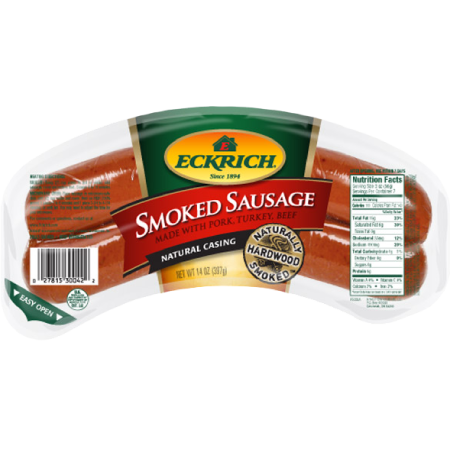 Eckrich’s Polska Kielbasa Natural Casing Smoked Sausage Traditional Loop is Naturally Hardwood Smoked and crafted with just the right blend of spices for a truly rich, savory taste. 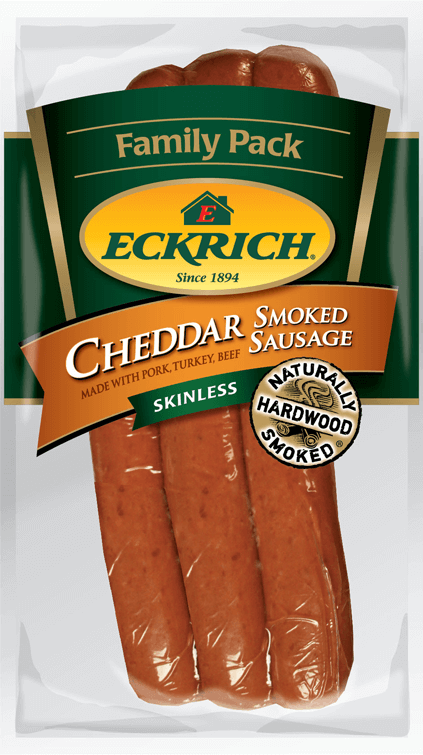 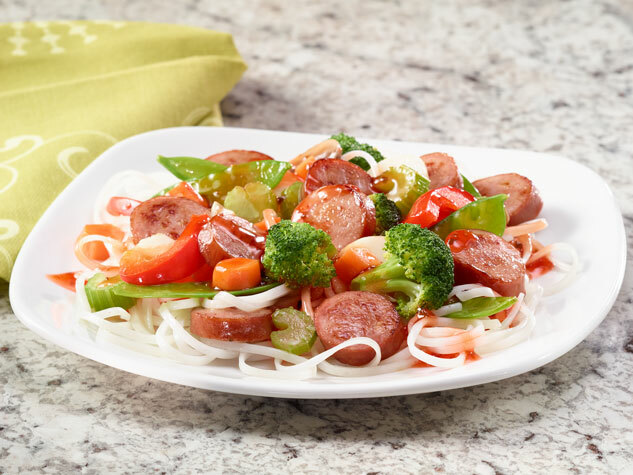 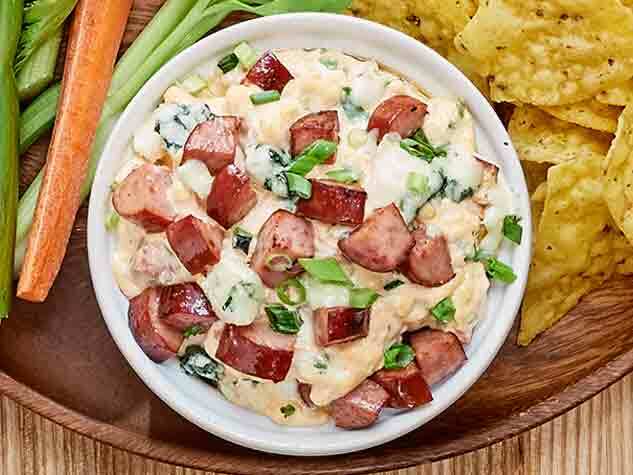 Try our smoked sausage on the grill, in your favorite casserole or to give a delicious zing to mac n’ cheese. 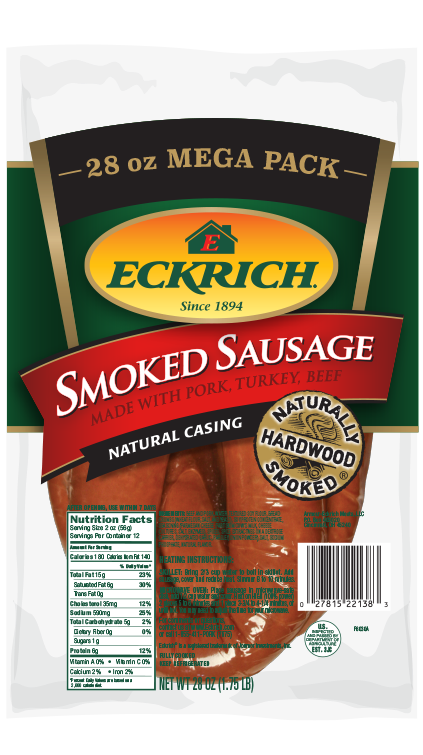 Ingredients: PORK, MECHANICALLY SEPARATED TURKEY, WATER, CORN SYRUP, MODIFIED FOOD STARCH, CONTAINS 2% OR LESS OF SALT, POTASSIUM LACTATE, DEXTROSE, FLAVORINGS, BEEF, AUTOLYZED YEAST EXTRACT, MONOSODIUM GLUTAMATE, SODIUM PHOSPHATES, SODIUM DIACETATE, ASCORBIC ACID, SODIUM NITRITE.